The Sony Xperia family have always been the underdogs in the smartphone market. In a world where HTC and Samsung seem to be the only names people know in Android, Sony have consistently pushed out genuinely brilliant phones that just haven’t received the recognition that they’ve deserved. The Sony Xperia Z4 and especially the Z4 were two phones that were lauded for brilliant hardware, brilliant cameras and solid software. However, for some reason they didn’t sell as well as they should have against the Samsung S5 or HTC One M8. Therefore, Sony has tried again with the Sony Xperia Z5 and actually spent a little longer working on these phones. I say phones because, for the first time, there are now three Z5 phones you can buy and we’re going to talk about them all here today. There’s the Z5 which is obviously the flagship device with all the specs, then Z5 Compact which will lower the screen size and resolution a little and then the Z5 Premium which is a challenge to the likes of the Note and the iPhone 6 Plus. In our opinion, these Z5 phones all have what it takes to take on the Samsung Galaxy series and here’s why. So let’s start off with the basics. the Sony Xperia Z5 improves upon the Z4 in every aspect that you can think of. The Sony Xperia Z5 comes with a 5.2″ 1080p screen which looks just as stunning as last year’s. It has an improved camera which we’ll touch on a bit later. It has 3GB of RAM and runs the Snapdragon 810 64-bit processor, in fact, all three of these phones use this processor. This suggests that all of these phones are going to absolutely scream through everyday tasks and games. The one super standout point about the Z5 series though is that they now feature a fingerprint sensor on the power button. However, unlike the Samsung Galaxy series and iPhones, the unlock/wake button is on the side of the phone. This means that the fingerprint sensor rests on the side of the phone where your finger rests when you use the device. We’ve watched this work in videos and it works incredibly well and incredibly fast. It’s far more natural to turn on the screen of your phone with your thumb, hold your finger there for a second and the phone is unlocked. It’s surprising how well the sensor works considering how much smaller the area of recognition is opposed to the Samsung and iPhone sensors. All three of the Z5 Phones comes with the new 23-megapixel camera. This is the first time in the Xperia line that Sony have decided to upgrade the actual sensor. Sony claims that this camera is even better than their last and the z4’s camera was brilliant. Sony also claim that the phone features a hybrid autofocus system which will apparently autofocus in 0.03 seconds which would be the fastest of any phone. On top of that, it features a 5x digital zoom. The Z4 Compact was absolutely loved by users and technology reviewers because it showed off that you didn’t have to lower every specification in the phone to create a smaller cheaper device. The Z5 Compact is a 4.6″ version of the Z5 that features all the same internal specifications but offers up only 2GB of RAM as opposed to the 3GB, hardly skimping though. The resolution of the Z5 Compact is only 720p as opposed to the Z5’s Full HD screen and the Premium’s massive 4k screen. The Z5 Compact is likely to be quite favourable to the Z5 due to a lot of people complaining about the fact that phone screens are getting far too large these days. Despite the lower resolution of the screen, the Z5 Compact could still keep in line with some of the other high-end devices from the likes of Samsung and HTC and certainly beats any other “compact” version of any phone out there right now. It’s become a huge trend recently for companies to release their flagship device that everyone knows and loves and then for them to go and release a bigger version of the device with a larger and higher resolution display. When we saw that phones were coming with 2k displays we thought that was a bit much. However, Sony didn’t think so. They’ve decided to put a 4k display into the Sony Xperia Z5 Premium’s 5.5″ display. That results in a screen of 804PPI, in comparison, the iPhone 6 Plus has a PPI of 401. Surely there’s no need for a screen so high in resolution? Initial voices are saying that the screen is certainly beautiful and one of the best displays they’ve ever seen on a mobile device. 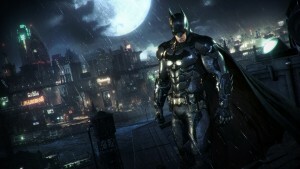 However, the big question is whether the huge screen resolution will affect the battery life. The Z5 Premium does come with a 3,305mAh battery and Sony does claim it will last two days on charge, but we’ll have to see how that stands up in heavy usage of the display. All of the Z5 phones are waterproof, all feature the same specs apart from the lower RAM in the Compact and all are dustproof and waterproof. On top of this, as you’ve seen from the images, the three phones are all beautifully designed and definitely stand their own against the new premium Samsung, HTC and Apple phones out there right now. Will this be enough to make them sell? We’ll have to wait and see. 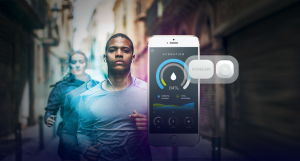 Will Sweat Trackers Be The Next Big Thing in Fitness Tracking? 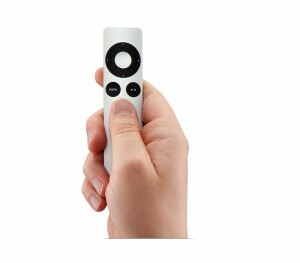 Will The New Apple TV Remote Have a Touchpad?